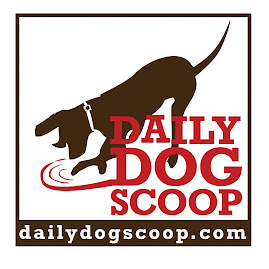 Daily Dog Scoop: Wild dogs are dogs too! Wild dogs are dogs too! What a treat at the Brookfield Zoo in Illinois: 10 healthy pups of the African wild dog variety! 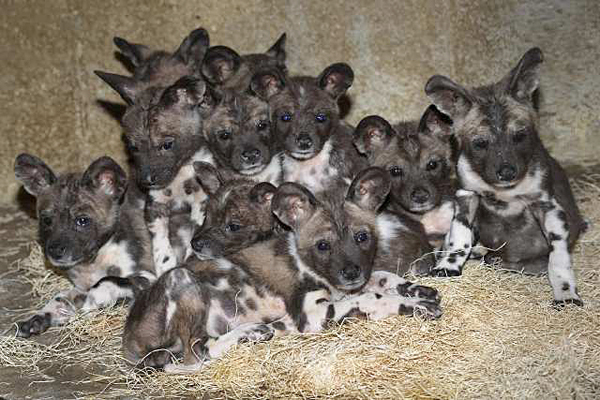 These pups were born to Kim and Digger, and this is the largest litter ever born at the zoo. Its a good thing too, because they are an endangered species. The veternarians and other staff at the zoo had the pups in for a check up recently to make sure these cuties can help reverse the tend. Like us "non-wild" dogs, these little buggers get distemper vaccinations, booster shots. Apparently distemper is a big reason for their decline in the wild--so while shots are no fun, I am glad they are getting vaccinated so there can be more of my wild African cousins in the future. They even get microchips just like me! L.A. Unleashed has the whole story, along with more adorable pictures and even a video of one of the surprisingly cooperative pups at her checkup.